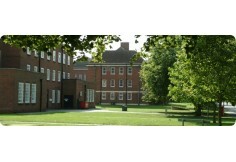 An agent from Cranfield University - School of Applied Sciences, will contact you shortly with more information. Suitable for experienced professionals in industry interested in developing capability in long-life system sustainment and maintenance management. Takes you on to careers with higher levels of responsibility, a broader base of skills and capability and a greater level of professionalism. You will be taught by industry-active research academics from Cranfield with an established track record in product-service and maintenance systems, and through-life capability management. To ensure the programme is aligned to industry needs, the course has the support of a number of organisations in the service support industry including Rolls-Royce and MOD. The cost and environmental impact of keeping complex, long-life infrastructure and capital systems operating efficiently is significant. The ability of owners and maintainers to deploy superior through-life support capability will be increasingly critical to meeting shareholder and public demands in tomorrow’s world. These demands increasingly require improved availability with reduced impact on the environment and at ever decreasing cost, resulting in the need for a new and integrated approach to education within engineering and operations management. With this rapidly developing interest in ‘service science’ and service and support engineering, the MSc Through-Life System Sustainment provides an essential foundation for future leaders in organisations who wish to maximise the ‘value in use’ from complex, long-life product systems, and become the change leaders for the system sustainment. The MSc course comprises eight assessed modules, in which students gain an understanding of world-class business practice, a number of industry experience days, a multi-sector group project and an individual project. Students are also supported through individual coaching and mentoring and an online learning platform. Postgraduate Diploma (PgDip) students complete the eight modules and the group project. Postgraduate Certificate (PgCert) students complete six modules. The group project involves students working in teams to fulfil demanding objectives within a tight timescale, applying state-of-the-art technologies and approaches to addressing major challenges in long-life equipment support and sustainment, and delivering results to a high professional standard. A dissertation may also replace the group project. The individual thesis project offers students the opportunity to develop their research capability, depth of understanding and ability to provide world-class technical and business engineering service solutions to real problems in system sustainment. Start date: Throughout the year. Assessment: Taught modules 40%, group projects 20%, individual project 40%. Funding: For the majority of part-time students, sponsorship is organised by their employers. Entry requirements: Candidates must possess, or be expected to achieve, a 1st or 2nd class UK honours degree in a relevant engineering or technology-based discipline, or the international equivalent of these UK qualifications. Other relevant qualifications together with industrial experience may be considered.